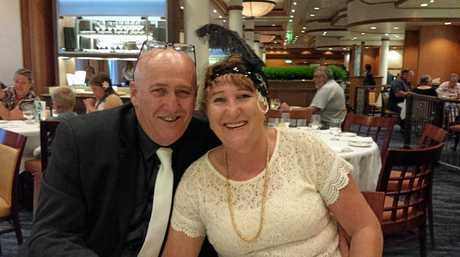 HAPPIER TIMES: Ron Hobbs has only weeks to live after being diagnosed with stomach cancer. His family, including daughter Tamara Ward, is trying to make his wish of meeting the Broncos come true. RON Hobbs has only weeks to live and his daughter is trying to make his last days extra special. As an avid Brisbane Broncos fan, Mr Hobbs never missed a game. His daughter Tamara Ward is hoping to make his wish of meeting past Broncos players come true. 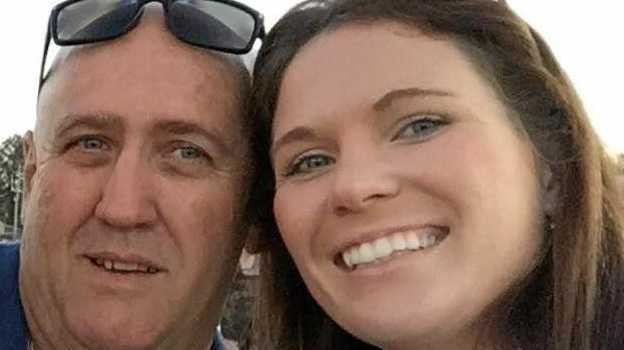 Mr Hobbs, 55, was diagnosed with stomach cancer last month which spread to his lungs and lymph nodes causing fluid on the lungs. He also has multiple tumours on his brain which are speeding up the illness, causing swelling on the brain. Ms Ward said her siblings and mum, Irene Hobbs, were not prepared for this and could not believe their dad could be taken away so soon. "Dad has been given days or weeks to live. Something we were not prepared for and are having trouble coming to terms with," she said. "As a close-knit family we are being extremely strong for one another and being there for each other to lean on. "Last week we brought dad home so we could care for him where he wants to be most, in his own bed, surrounded by those he loves and who worship him." Ms Ward said her dad had been a Broncos fan since 1988. He even asked that everyone at his funeral must be dressed in a Broncos shirt or jersey. Ms Ward said he wanted everyone in his team colours. 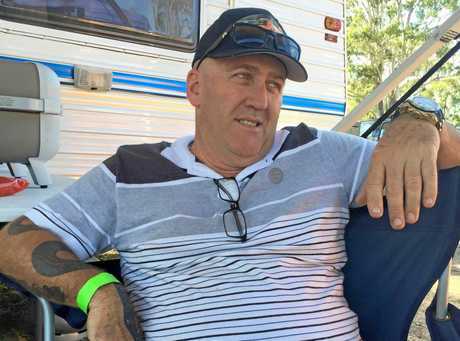 Ron Hobbs has been given only weeks to live after being diagnosed with stomach cancer. His family is trying to make his wish of meeting the Broncos come true. Ron Hobbs with his wife Irene Hobbs. "Dad never missed a game and was always sitting on the edge of the couch yelling at the screen in support of his Broncos," he said. "He never went to a game because in his eyes you see more of the game at home. "I believe dad would love to meet the Broncos but the older players. "I just know he wishes it was on better terms. "I have been trying to rally around to make this happen and hoping he will be able to meet one past player who will sign the jersey he will be laid to rest in." The family also started a GoFundMe account to help Mr Hobbs live more comfortably in his final days. If you would like to donate visit gofundme.com/rons-cancer-journey.